The loan was funded in July by Terry Astleford and the company returned to profitability in August, just two months after filing for Chapter 11 in June, Premier’s new CEO Rick Gallagher told Trade Only Today. Two of the company&apos;s founders, Bob and Betty Menne, have employee agreements, as does executive vice president Lori Melbostad. Premier continued to build pontoons throughout the bankruptcy it emerged from this week. Gallagher, who served as the financial advisor to the bankruptcy before being named company CEO, is joined by Edward Wicker, who was hired as the new chief operating officer. The company never stopped production, though it did slow after dealers lost the ability to floorplan the luxury pontoons and instead had to pay cash to get them on their showroom floors, Melbostad told Trade Only. Wells Fargo Commercial Distribution Finance LLC terminated Premier’s dealer floorplan financing program, effective Jan. 31, court documents said. 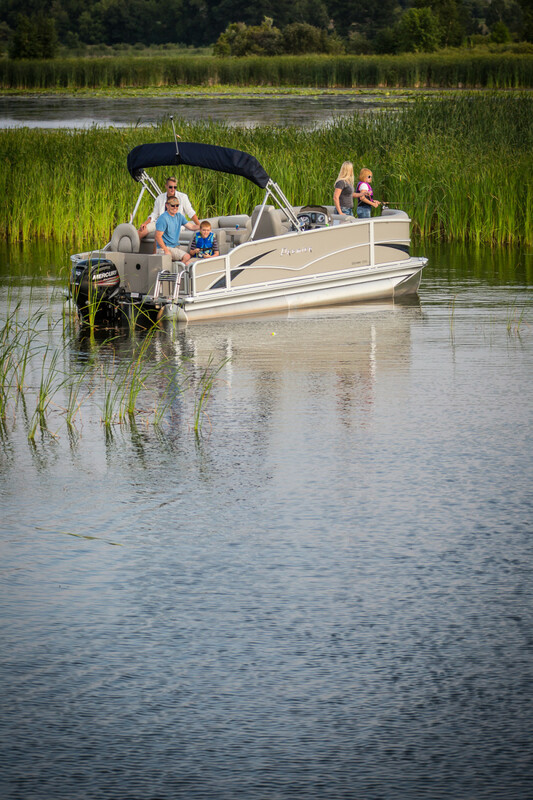 Premier Marine, maker of Premier Pontoons, filed for Chapter 11 on June 19 restructuring as a result of a “failed acquisition of another pontoon manufacturer in 2011,” said a motion filed Tuesday in U.S. Bankruptcy Court in Minnesota. The company estimated liabilities between $10 million and $50 million owed to between 200 and 999 creditors, including more than $6.5 million owed to American Bank of the North. While the bankruptcy was difficult, Melbostad loyal Premier customers helped get her through. Premier is now looking forward to introducing a new model for model year 2019. “The team’s excited to show people what we do now,” Gallagher said.